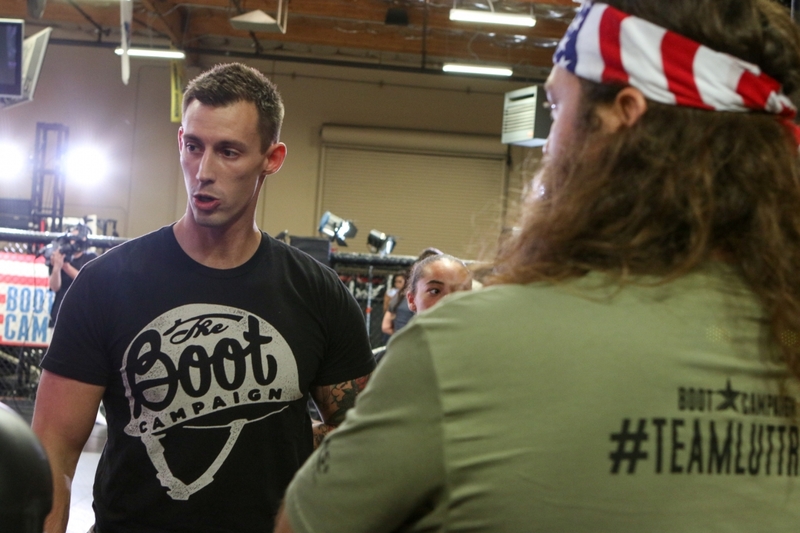 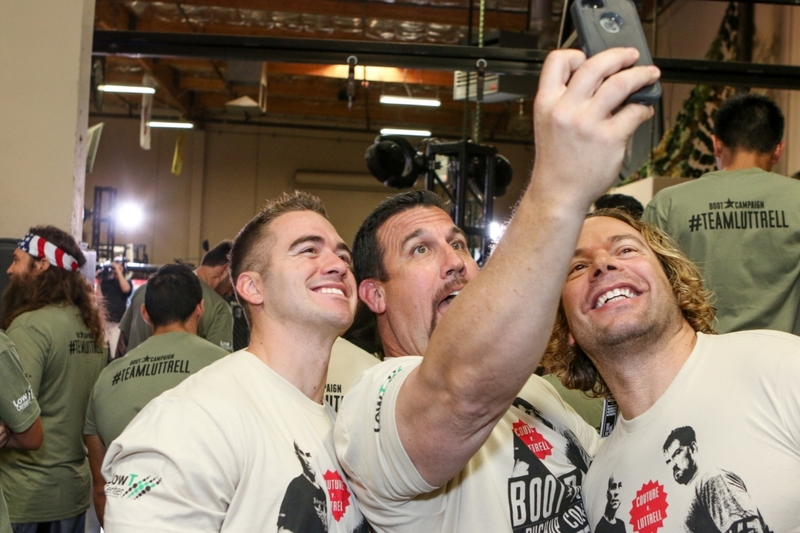 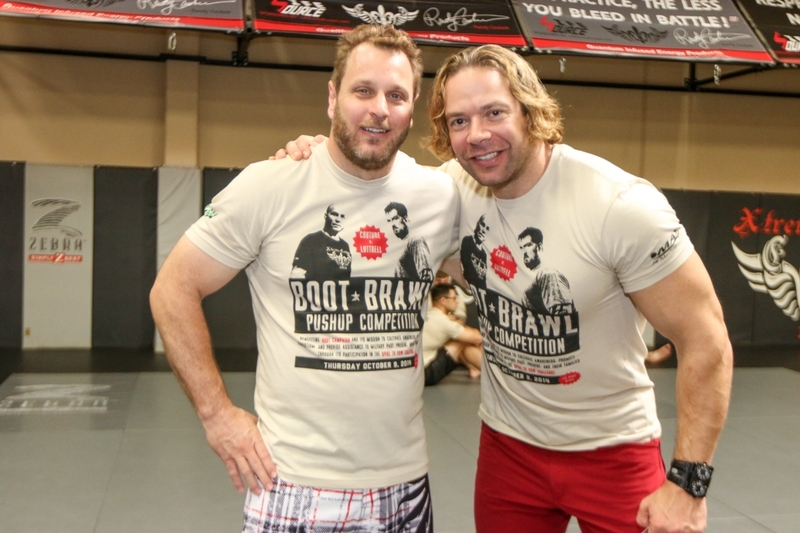 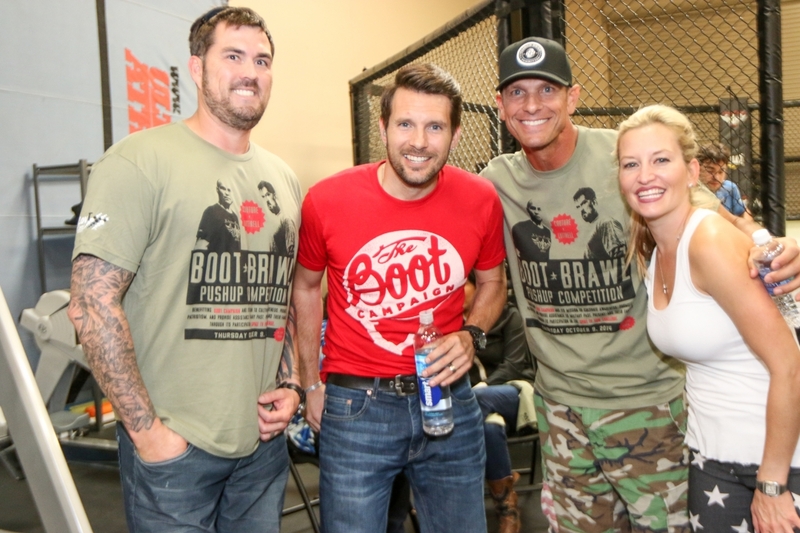 Charity events are fun affairs; at least when it comes to MMA Fighters paired up with the Boot Campaign!! 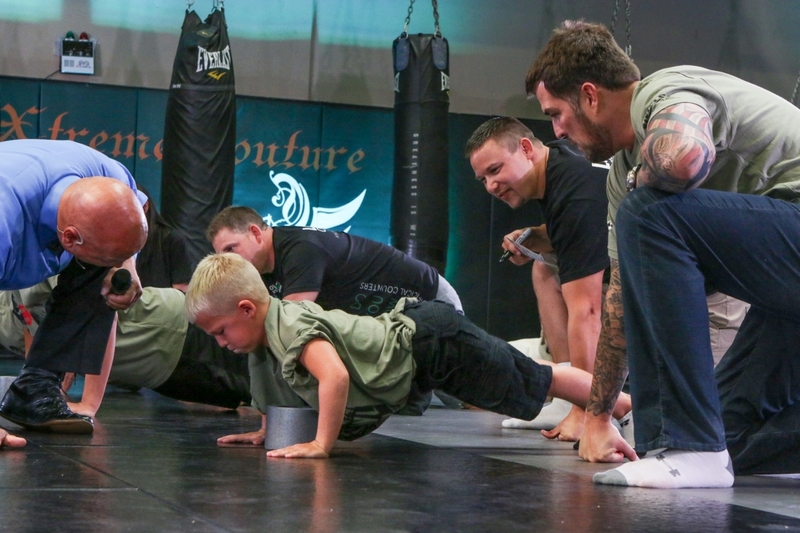 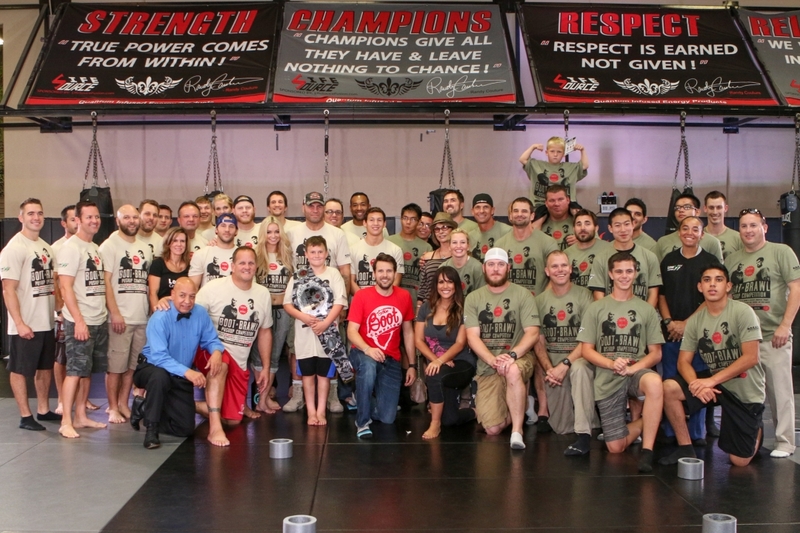 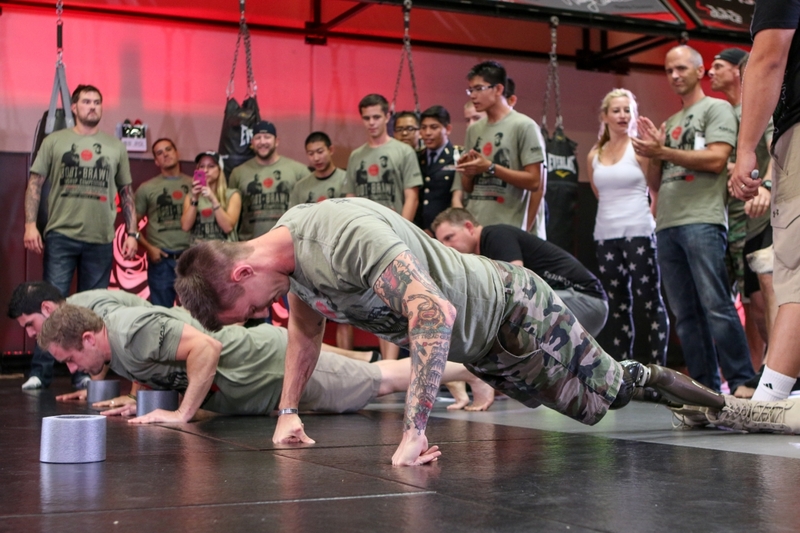 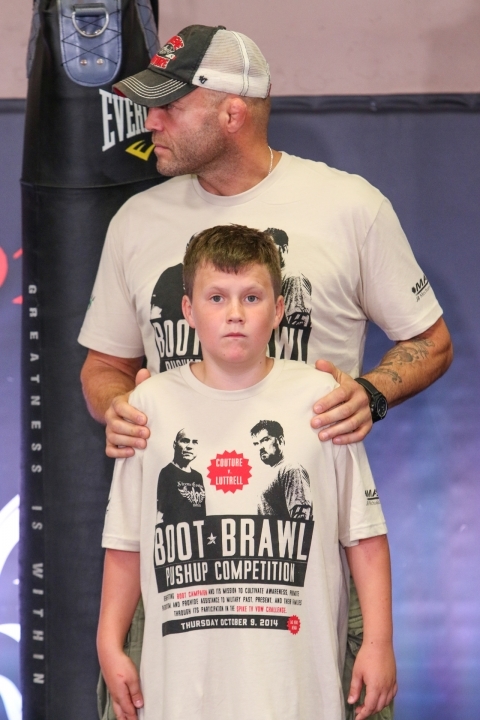 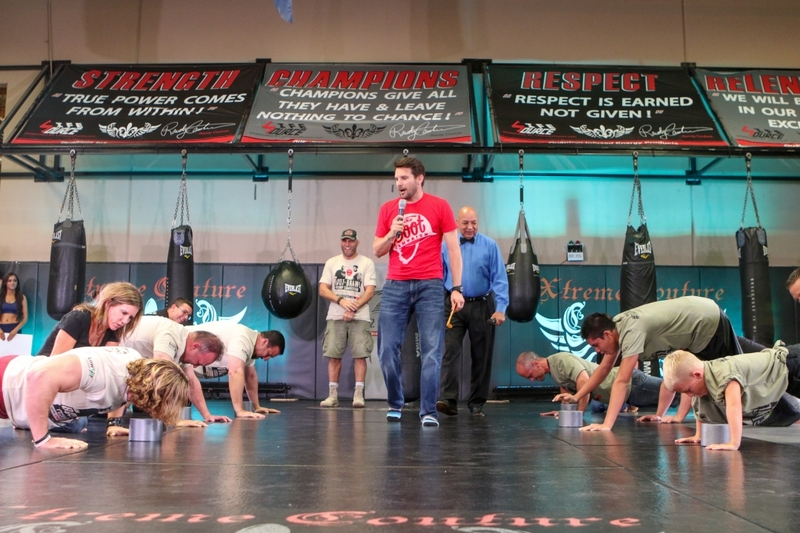 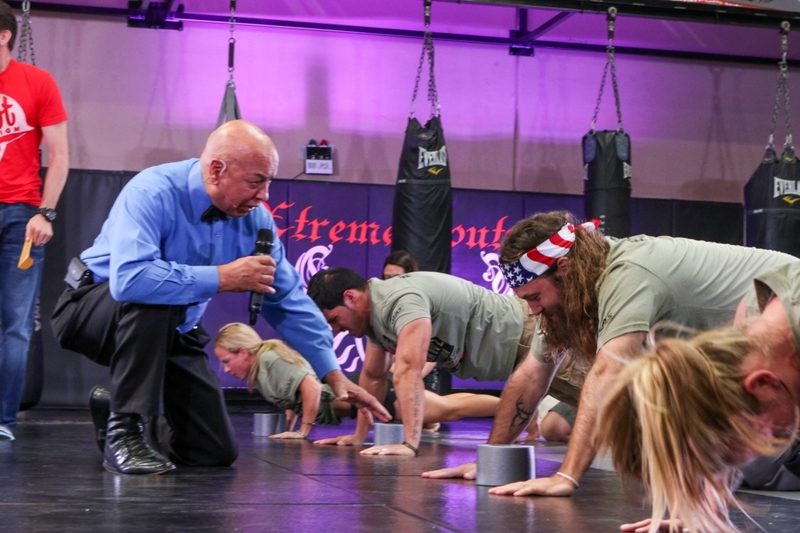 Oct 14, 2014, Randy Couture and Marcus Luttrell faced off in a pushup competition of epic proportion. 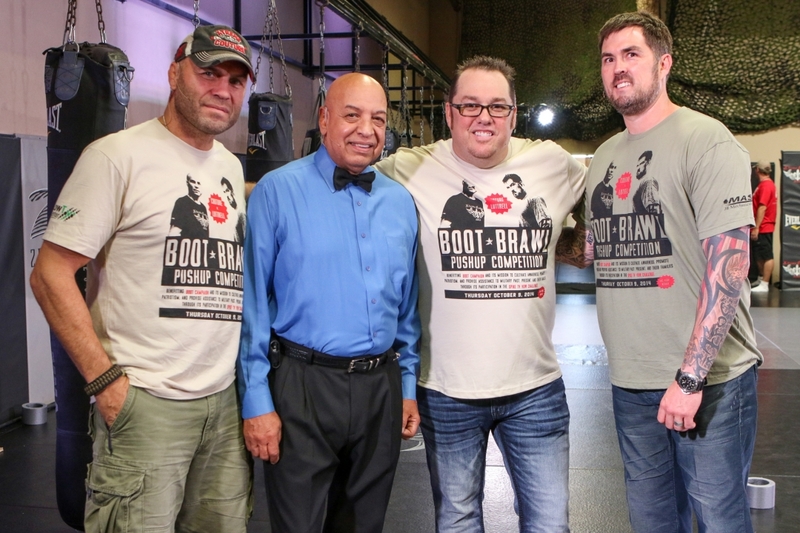 The winner would walk away with bragging rights and the ultimate pushup championship title, The Boot Brawl Belt! 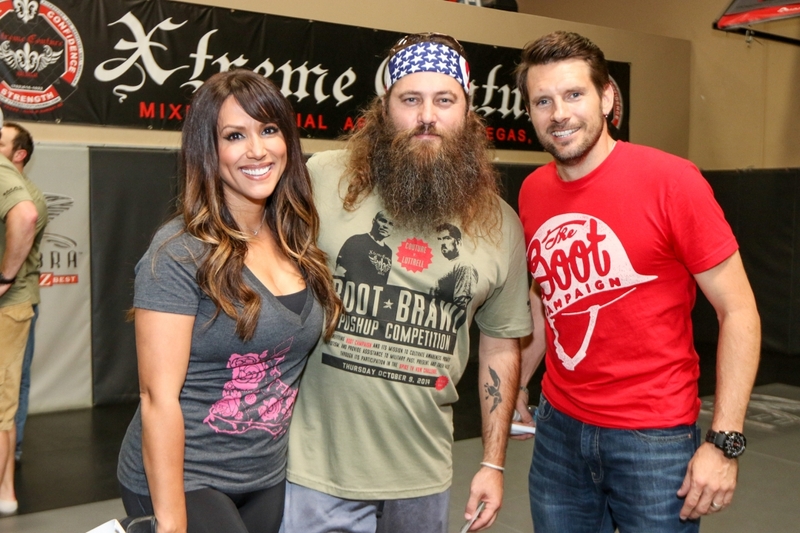 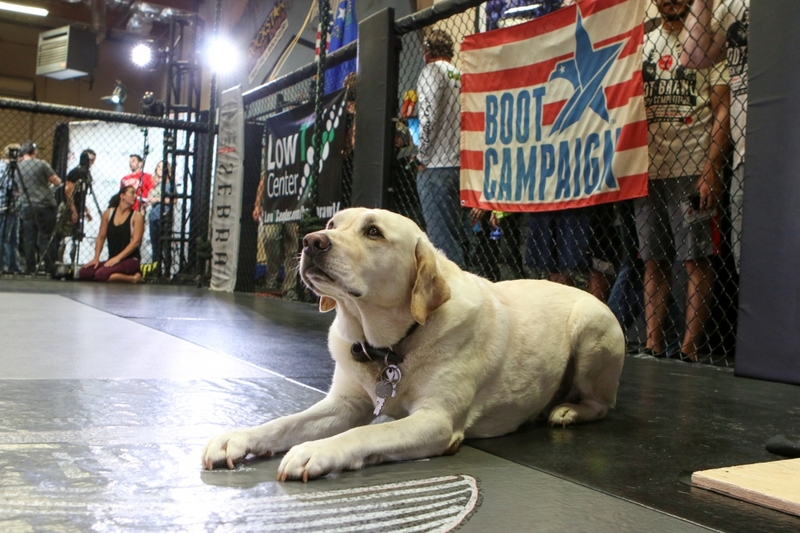 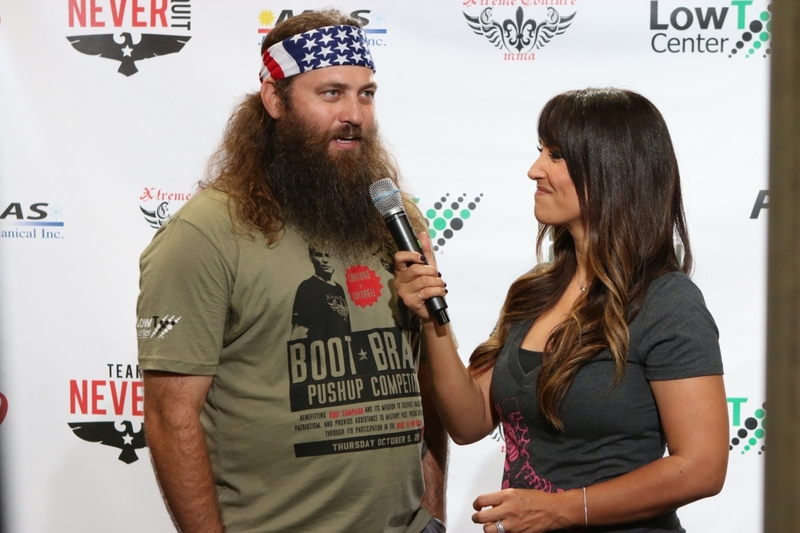 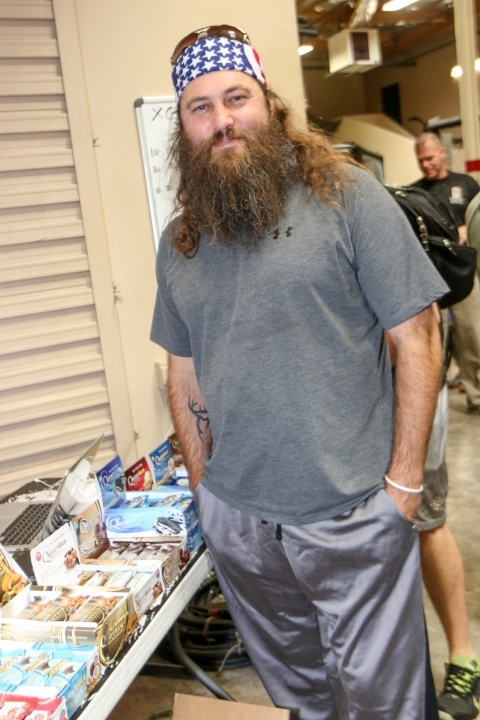 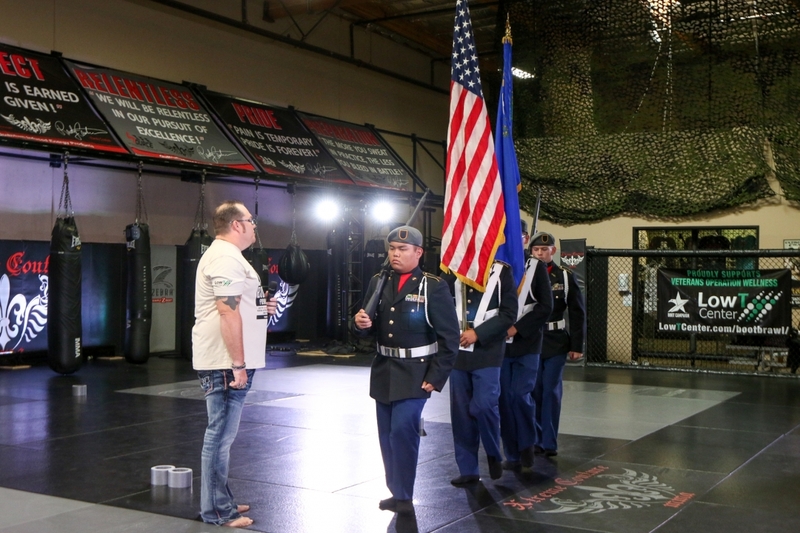 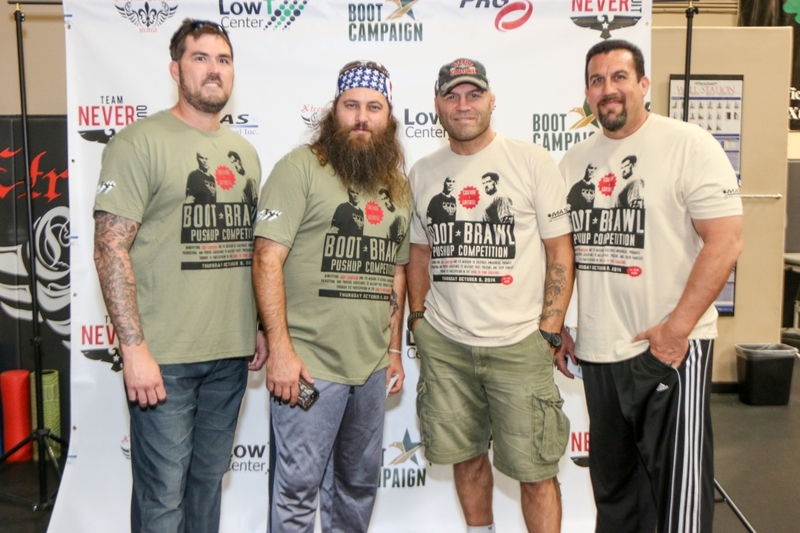 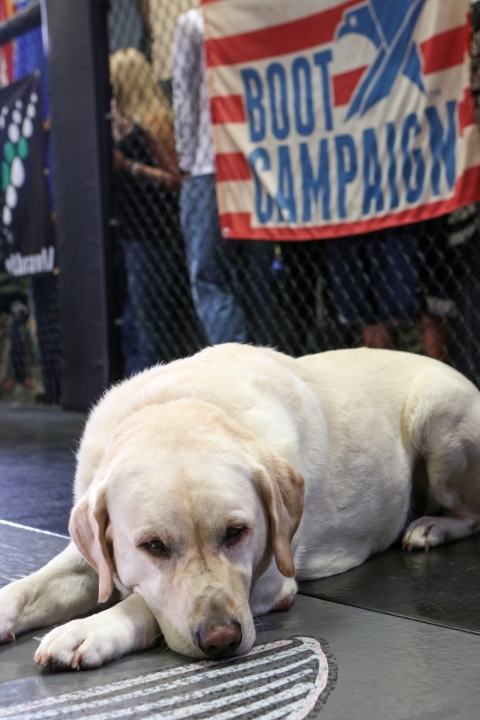 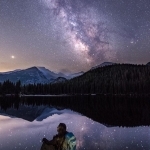 A number of fighters and celebs were on hand to join in the festivities including Willie Robertson of Duck Dynasty and Gray Maynard of the UFC. 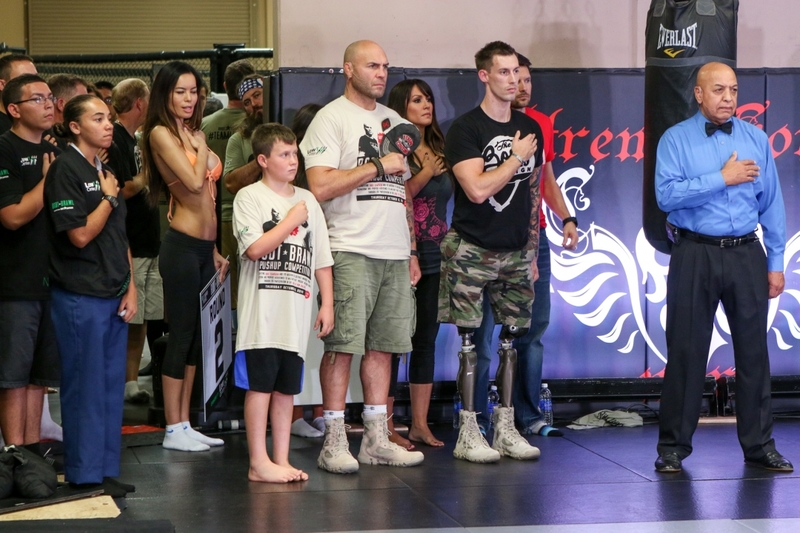 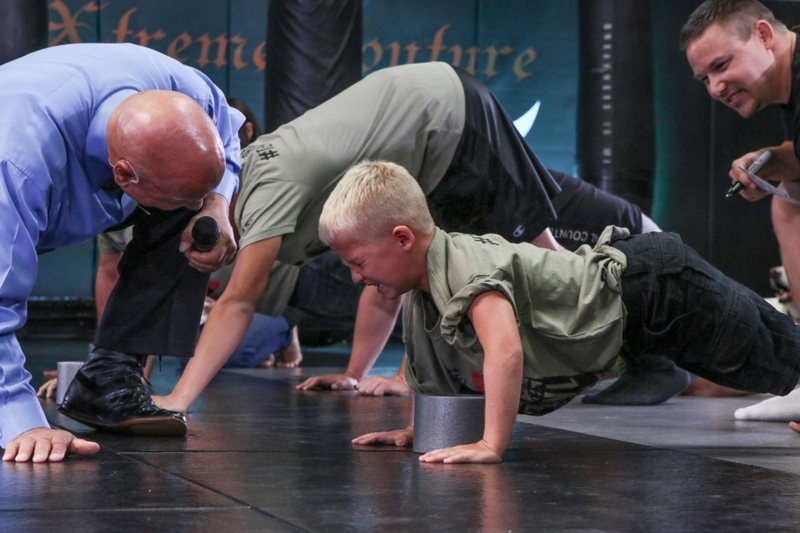 Hosted by Leann Tweeden and Rossi Morreale, and officiated by HOF Boxing Ref, Joe Cortez, the competition was open for all ages down to the 5 year old who showed the most heart. 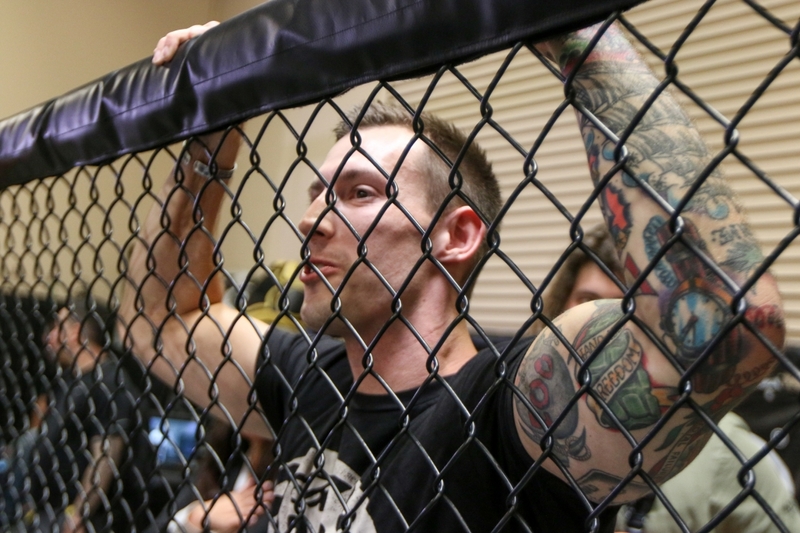 My job was to capture posed pics of the competitors, action shots of the event, and candid behind the scenes shots of what was going on at Xtreme Couture that day!